The Venice Commission published a set of guidelines to protect ombudsman institutions, following threats to these institutions in recent years. Ombudsman are important for democracy, their services are free, and are thus accessible to individuals who cannot afford to pursue their complaints through the courts. They can take action independently against maladministration and alleged violations of human rights and hence play a crucial role with regard to the governments and parliaments which must accept criticism. As an interface between the administration and the citizens they are at times the first or the last resort to set a human rights violation straight. They are meant to consolidate and empower ombudsmen institutions, which play a crucial role in strengthening democracy, the rule of law, good governance and the protection and promotion of human rights and fundamental freedoms. The 25 Venice Principles are the result of broad consultations with the major international institutions active in the field. 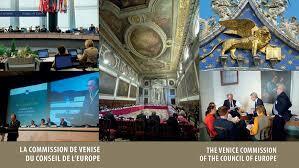 The Council of Europe’s Steering Committee for Human Rights played an active role in the process. Amongst the mediator associations and international partner organisations involved in the development of this text are the International Ombudsman Institute, a global association of ombudsmen from/of more than 100 countries, and the UN Office of the High Commissioner for Human Rights.